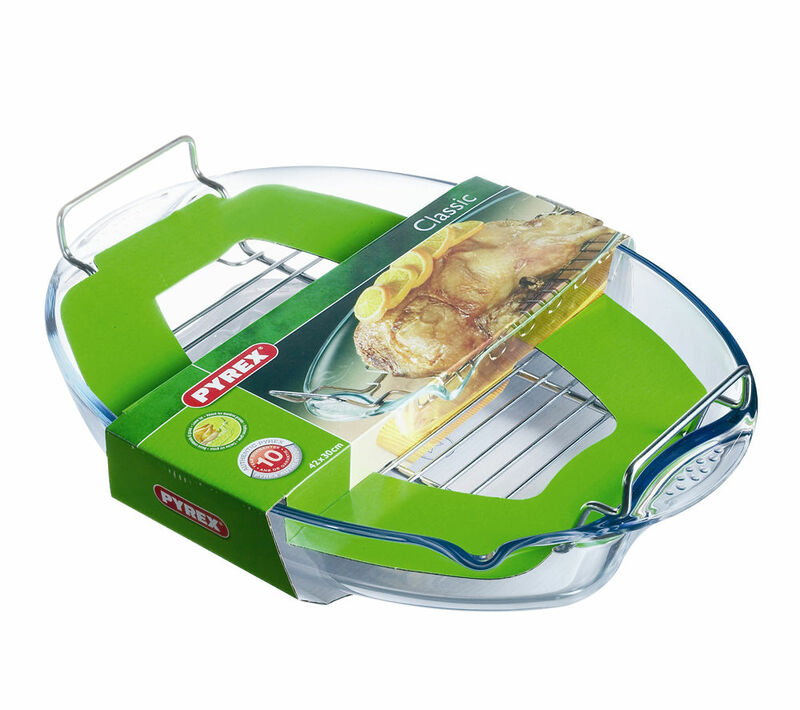 Made from toughened glass that is robust enough to survive cooking your favourite meals, the Pyrex 42 x 30 cm Roaster with Rack is a handy cooking vessel for any kitchen. With easy grip handles the Roaster is designed to withstand roasting and baking at high temperatures. It is durable and heat resistant, and can be used in ovens up to 300°C. It also includes a roasting rack. Easy to clean and with a reassuring ten-year guarantee, the Pyrex 42 x 30 cm Roaster with Rack will quickly become a go-to item in your kitchen.